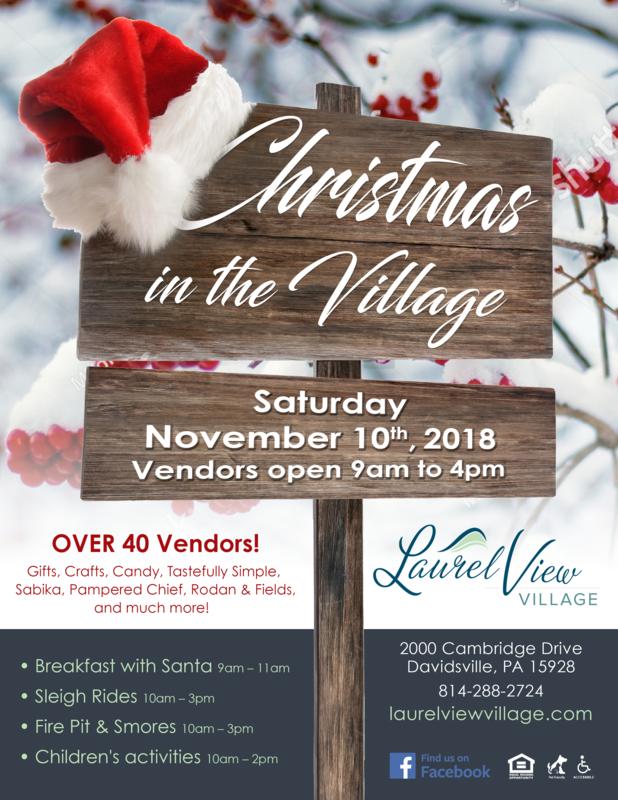 There is something for everyone to enjoy at Laurel View’s Christmas in the Village. Over 40 Vendors will be present to sell their wares. Vendors will be located in both The Fresh Harvest Banquet room and the Multipurpose Room in our Main building. Take a tour of our beautiful campus on a horse drawn sleigh ride. Make S’mores and enjoy the cozy atmosphere of our fire pit. Check out some children’s activities and games to make family time even more fun. And don’t forget to stop by for a visit Santa Claus! It will definitely be a day your family and friends will remember.